The process causes steel to undergo metallurgical re-crystallisation, attaining high strength and a refined grain structure. 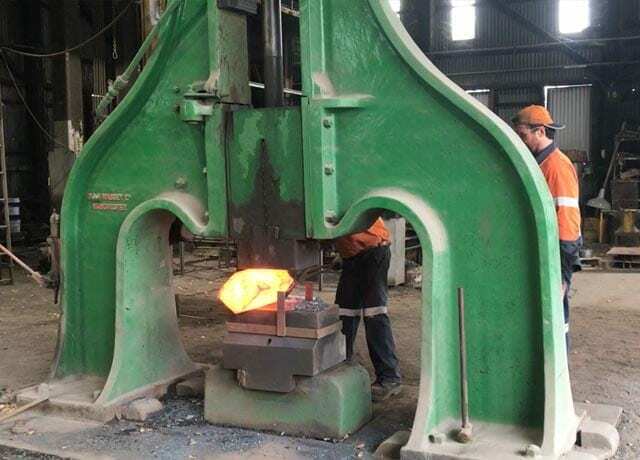 Forged products have significantly higher tensile strength, fatigue strength, and uniformity of composition and structure, without the necessity for adding more expensive alloys. Importantly, when comparing breaking load tested objects, forged products also show significant ductility, i.e. deformation before failure: the material will bend and stretch before breaking, warning that it is under a dangerously high level of burden. This property often enables a timely rectification of weight applied and a substitution of the damaged equipment before accidents happen. 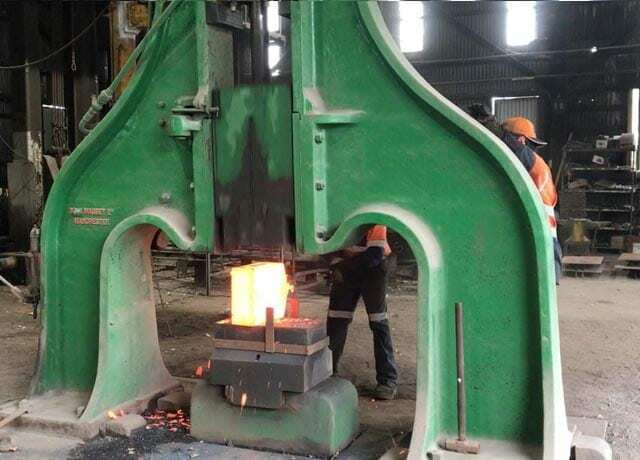 Additional benefits of forging over casting are that the former sidesteps such issues as shrinkage, surface porosity, cavities and cold pour issues. By its nature, forging is a labour intensive, one-by-one process that yields fully customised items, indispensable to the operation of businesses requiring tailored, rather than mass-produced equipment. Our team of qualified and highly experienced specialised blacksmiths can count on over 100 years’ collective experience with forging customised solutions for our customers. Each blacksmith can individually draw on over 25 years’ worth of practice and dedicated industry know-how. Our blacksmiths are passing on the skills and knowledge of their dying trade to our boilermakers and other tradespeople through on the job training and experience. Our expertise is what allows us to anticipate any pitfalls or challenges your product may face throughout its service. With the knowledge and ability to get jobs done that others can’t, we will go the extra mile to develop the right solution for your setup. The capacity of our workshop, coupled with the flexibility of our facilities, enables us to undertake multiple forging projects simultaneously. We only employ high-quality materials, such as carbon steel, in our commitment to deliver equipment that will stand the test of time. Once it is prepared, the same care goes into testing your equipment and providing you with all the inherent documentation. With a focus on quality and a conscious effort for continuous improvement, our team has the qualifications and expertise to provide dedicated advice for your specific application and is always at your disposal for consultations or quote requests.